“We are very excited to bring the CP Women’s Open to Regina and the province of Saskatchewan in 2018,” said Tournament Director Brent McLaughlin. REGINA (Golf Canada) – For the first time, Saskatchewan will play host to a major LPGA Tour event as Golf Canada and Canadian Pacific (CP) have announced the 2018 CP Women’s Open will head to Regina’s Wascana Country Club from August 20-26, 2018. Through its CP Has Heart campaign, CP will once again be making a significant charitable donation within the host community. In its first three years of title sponsorship, from 2014-2016, the campaign has raised over $4.5 million in host communities. 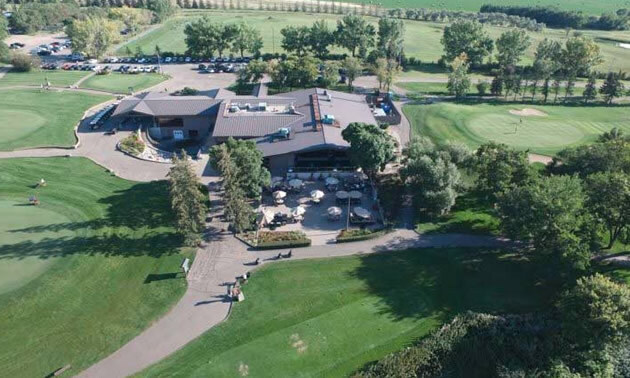 After a three-year recruiting process, Wascana Country Club finally earned its opportunity to host the stars of the LPGA Tour after originally submitting a bid back in 2014. The club is one of only four private golf courses in a province that counts 206 total facilities. “We are delighted to have been chosen to host the prestigious 2018 CP Women’s Open, as this will be a chance for us to show the world what the city of Regina has to offer,” said Michael Fougere, Mayor of Regina. The Wascana Country Club has welcomed more than 30 notable championships since its founding in 1911, including the PGA of Canada Championship in 1992; the Saskatchewan Men’s Amateur Golf Championship six times, most recently in 2005; and the Saskatchewan Women’s Amateur Golf Championship 10 times between 1915 and 1990. The 18-hole championship course set in the wetlands of Saskatchewan will also play host to the 2017 Canadian Men's Mid-Amateur Championship later this summer in August. Canada’s National Women’s Open Championship has traditionally featured one of the strongest fields on the LPGA Tour vying for a total purse of $2.25 million USD, one of the largest purses on tour. The CP Women’s Open welcomes the top players on the LPGA Tour including CP golf ambassadors Brooke Henderson and Lorie Kane and fellow Canadian Alena Sharp, along with past champions and LPGA stars such as Lydia Ko, Ariya Jutanugarn, So Yeon Ryu, Suzann Pettersen and Michele Wie. First conducted in 1973, Canada’s National Women’s Open Championship has allowed the brightest stars of the LPGA Tour to shine on Canadian soil and to inspire the nation’s next generation of female golfers. As part of ongoing Canada 150 celebrations, Ottawa Hunt and Golf Club will host the 2017 edition of the CP Women’s Open later this summer in Canada’s capital. Information regarding tickets, volunteer opportunities and corporate hospitality for the CP Women’s Open can be found at www.cpwomensopen.com.